Most of the purchase contract details for Wildling are figured out now, but there are still a few decisions to make. I added some content and links to the Construction page, to make things a bit easier to follow as we go through the design and build process. Robin, Lindsay, Gavin and I were recently in Sydney, and were lucky enough to participate in the first Australian version of the Outremer Cup (the annual Outremer owner’s meeting and race held in France). 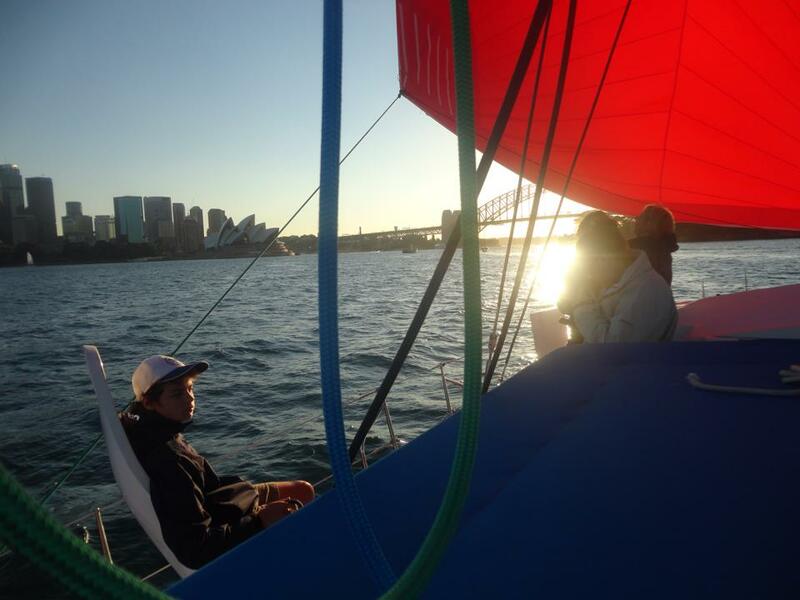 There are two Outremer 49s in Australia (at least for now) and the folks at Multihull Central in Sydney organized a great afternoon of sailing on Sydney Harbour followed by a sunset barbeque and drinks at their Annandale offices and marina. A big thanks to Multihull Central and Outremer 49 owners Mark, Lilian and Phoebe for inviting us to join them on their beautiful boat. We had a great time! Winds were light, around 8-10 knots and both boats were match racing nicely between 6 and 8.5 knots, proving that the Outremers are as comfortable in regatta mode as they are crossing oceans! Everyone loves the helm seats! Gennaker is up, so furl the jib! My apologies for the incorrect name and link. It’s fixed in the post now. It was a great day- and a lovely boat. I can’t wait to see the 5X!